Microsoft has announced that the Xbox Wireless Adapter for Windows, as we first reported back in June, is now shipping to retailers and will soon be available for purchase. 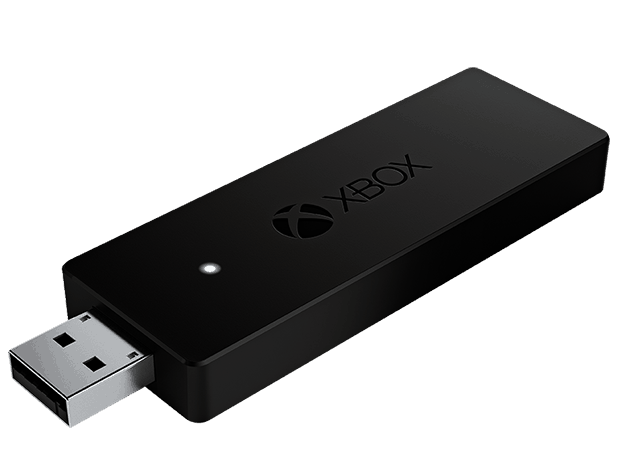 The Xbox Wireless Adapter for Windows is a USB dongle that links your Xbox One wireless controller to your Windows 10 PC. It can be connected through either a USB 2.0 port or a USB 3.0 port, and works in conjunction with the Xbox One wireless controller’s 3.5mm audio port to stream audio data to and from a headset connected to the controller. The adapter can pair with up to 8 individual controllers, and up to four chat headsets or two stereo headsets. This adapter is particularly useful for streaming games from your Xbox One to your Windows 10 PC or tablet, enabling you to have the rich Xbox One experience on your convenient PC setup. Check our earlier report to see how to enable this unique functionality. The adapter will be available soon for $24.99 USD, or bundled with an Xbox One Wireless Controller for $79.99. You can purchase it here. Will you be purchasing this adapter for your Windows 10 PC?